How deep is a growbed ? This is a highly debated subject, to me the deeper the better. Not to say you cannot grow in shallow growbed, you can. 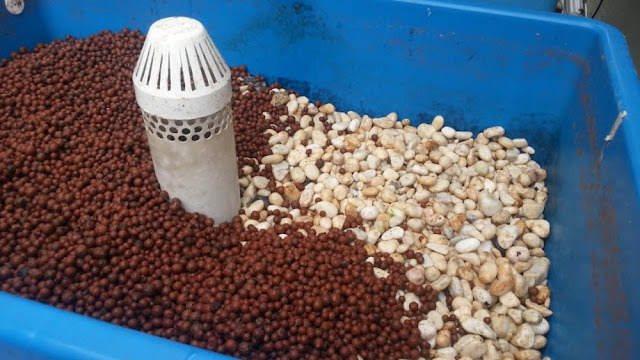 I did use 6" deep growbed to save cost and weight of pebbles and I also use 12" growbed lately for hydroton and pebbles. If you have deep growbed, there will be more surface area for bacteria to interact and produce more nutrient and as the result will clean water better. Plants benefit from this too since they will have deeper root zones and better support, deeper root zones will equal to more food for plants. 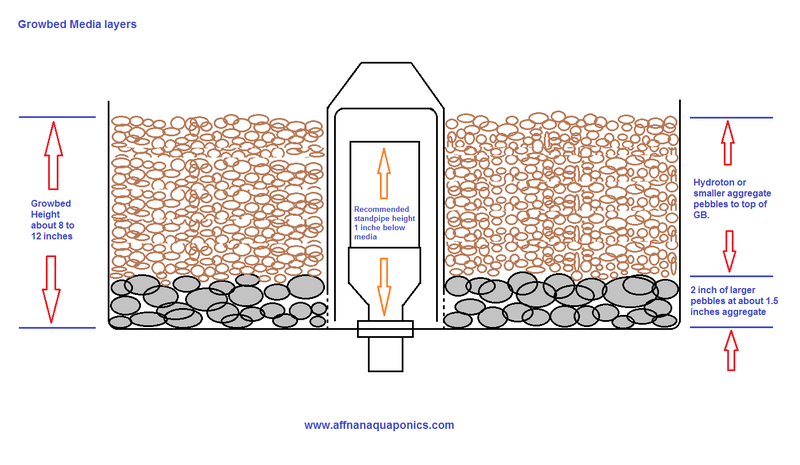 Aquaponics Growbed have 3 distinct layers. 1st layer, the top most is the dry or barrier layer that expose to sunlight. This Dry layer or zone is necessary to reduce evaporation and algae growth. This layer in a way provide a barrier from sunlight directly having contact to water, apart from already mentioned effect it also reduce direct heat which is important at sunny area. 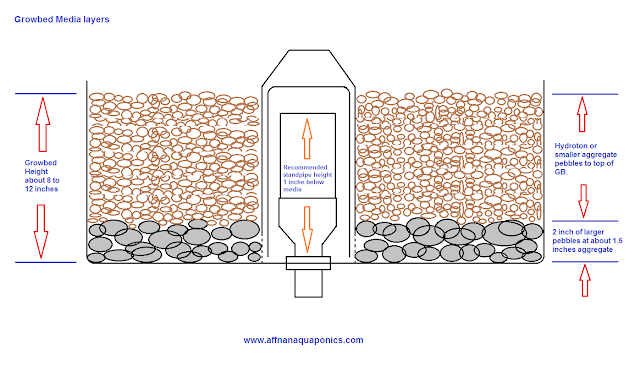 2nd layer, the middle layer this is where in flood and drain system water constantly rise and fall, air and wetting the media for biofilter action converting amonia to nitrites and then nitrates for plant use. This also the Root Zone where most plant roots are found. The thicker this zones the better it is. 3rd and final layer is where water may not be able to drain, stays and where sludge accumulates, this zone are called by various names, I just call it Sludge Zones. At this zones breakdown of fish solids occur by bacteria and worm. It is crucial to have a good drainage in this final layer. Recommended to use larger pebbles to ensure it does not easily clog up. The thicker the growbed means the thicker the 2nd layer where most plant roots are concentrated for nutrient, therefore shallow growbed although it work. It will be less root zones for plants. Having said that, pebbles growbed can be shallow due to weight issue and also they are able to provide support to plants even at 6" of depth. As long as you know what you are doing, its not much of an issue with regards to growbed depth. I recommend nothing less than 6". 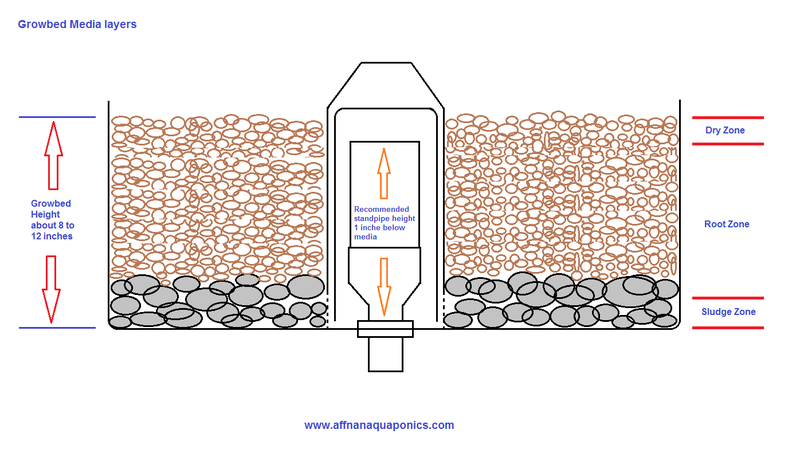 Apart from above layers, growbed drainage is most important to ensure trouble free aquaponics set and good plant growth. Putting larger pebbles or stones up to about 2 to 3 inches for the first few inches of growbed dependent on gb height is highly recommended. It is then follows by smaller pebbles or hydroton to top of growbed. The larger pebbles is to ensure good drainage and the smaller for easy planting of seedlings and sufficient area for bacteria growth. It is recommended to use pebbles or rock larger than above picture to ensure they are easily separated if the media need to be replace. 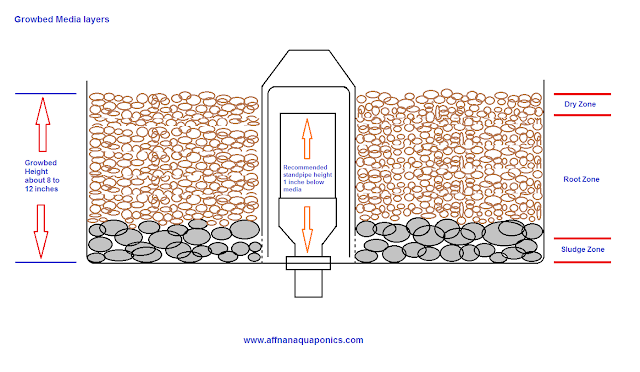 With better designed siphon or SilosGrowbed method those pebbles at the sludge zone are no longer necessary. W'salam. Apa yang saya akan buat ialah penuhkan gb dengan air dan pastikan ia tidak keluar. Kemudian keluarkan semua batu batu atau hydroton. Sludge dan air kemudian di salurkan keluar, tetapi jangan kedalam tanki ikan. 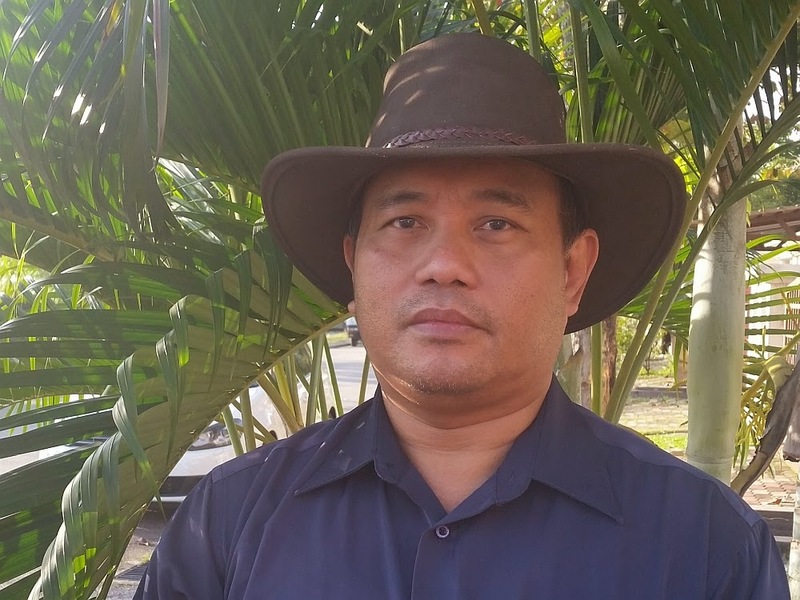 Selepas itu masukkan semula batu batu atau hydroton. Thanks for your comments, I'll take note and do my best on this with respect to the translation part. about gb layer can we use sekam ( https://id.wikipedia.org/wiki/Sekam) as gb top layer? is it necessary to burnt the sekam? as the mid layer im thinking of crushed mud brick as hydroton substitute..
You can use any material that drain easily and don't decay. If serkam can do that then it can be use. I never tried anything else other than pebbles, small rock and hydroton. You can try on a smaller scale probably in a pots or container within a growbed and see what happens. In the UK, I am not able to assist. Maybe readers from UK will answer this query. Great Information... I must try and obviously let you know... thanks..
assalammualaikum saya nak bertanya bagaimana hendak menanam tumbuhan menggunakan growbeads dan dimana boleh saya perolehi growbead? Saya banyak belajar dan mendapat idea dari En Affnan. Sgt bermanfaat. En Affnan ada posting tentang bagaimana Automatic Bell Siphon berfungsi tak? hi mr affnan whre can i buy the grow bed in penang?